Early evidence linking diet and caries has its roots in Australia! There are plenty of evidence that links diet and tooth decay. One of the earliest evidence comes from a study done in Hopewood House in 1944. 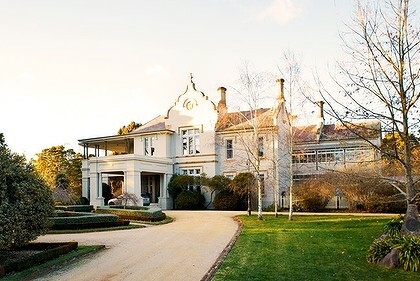 Hopewood House is situated in Bowral (NSW) and was founded by Leslie Owen Bailey. He transformed a spacious country mansion into a home for young children of poor background. During the children’s stay, Mr. Bailey stipulated that the children should be raised on a natural diet excluding refined carbohydrate. He was concerned about the effects of refined carbohydrate (especially sugar) on kids. A dental survey carried out on the children while at the House revealed a very low prevalence and severity of dental caries compared to children attending state schools in New South Wales. At the legal age, these children were then allowed to live elsewhere independently. When close supervision ended, a survey followed these children a few years after and it revealed that their decay rate was equivalent to children who were previously attending state schools. This study proved to be the basis of future studies linking diet and caries. It proved an initial cause-and-effect relationship between sugar and tooth decay. Many other studies then elaborated on this finding, to what we know now of refined sugar! There are other areas of research that still needs to be done, but you’ll be glad to know that this all started in Australia!